Estee Lauder Perfectly Clean Multi-Action Crème Cleanser/Moisture Mask, 5.0 oz. 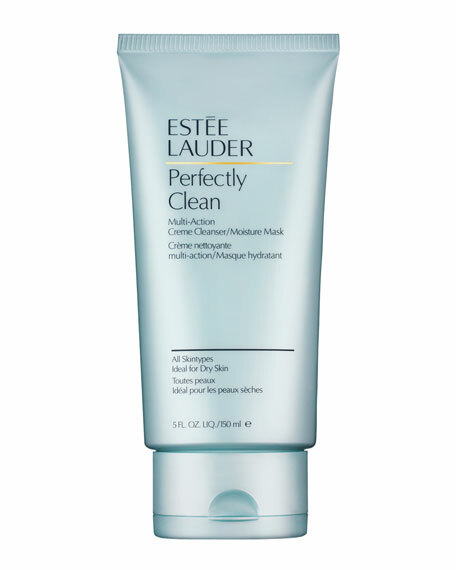 Estee LauderPerfectly Clean Multi-Action Crème Cleanser/Moisture Mask, 5.0 oz. Indulge your skin with this lusciously rich creme that cushions as it gently cleanses. Powered by proprietary technology, this non-foaming, soft creme formula works for all skintypes and is ideal for dry skin. Gently removes impurities for a look that's healthy, fresh and luminous. Use it 2 ways: morning and night as a daily cleanser to purify skin, or use it twice a week as a 3-minute moisture mask. For in-store inquiries, use sku #210495. An at-home alternative to fillers, this is a cutting-edge, dual-purpose treatment to boost natural lip volume and improve its texture.